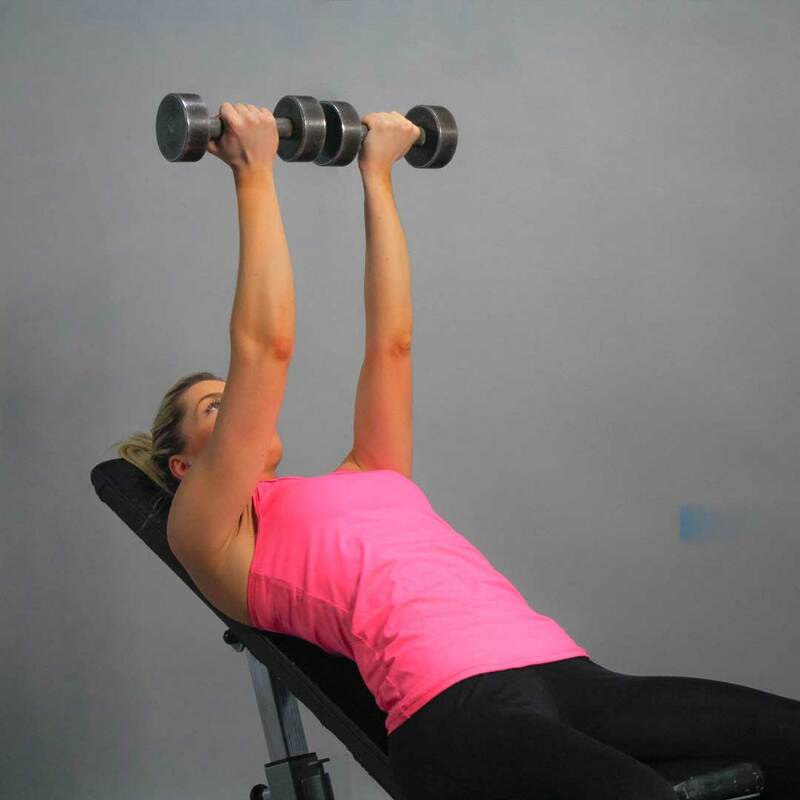 Take a dumbbell in each hand and lie on an incline bench (incline angle should be less than 30 degrees). Extend your arms in front of you with a slight bend at the elbows. Rotate the wrists so that the palms of your hands are facing you, while the pinky fingers should be next to each other. This will be your starting position. Inhaling, start to slowly lower the arms to the side while rotating the wrists so that the palms of the hand are facing each other. Note: At the end of the movement the palms will facing the ceiling. Exhaling, bring your arms back up to the starting position on the same trajectory, by rotating the wrists so that the pinky fingers are next to each other again. Keep in mind, that the movement is performed at the shoulder joint and at the wrist. The elbows should remain stationary.